We’re being haunted by a balloon. 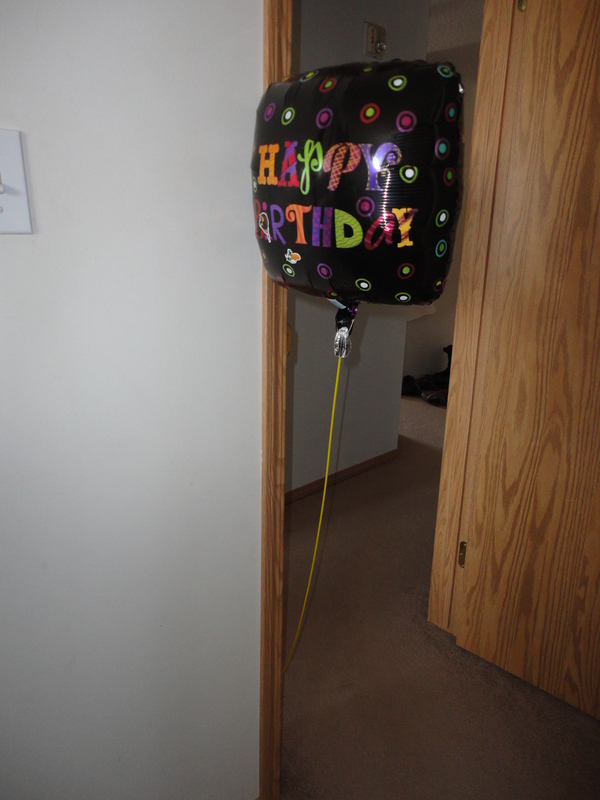 It’s the helium variety–one we got my son to celebrate his birthday, except the creepy thing follows you! Scientifically, it probably has to do with air currents, and the fact that I have a few different windows cracked to air this place out… but there is nothing more alarming than feeling something touch your shoulder and turning around to a head-level balloon! My son wanted to have it in his bedroom at night, and we had to tell him a definitive No. 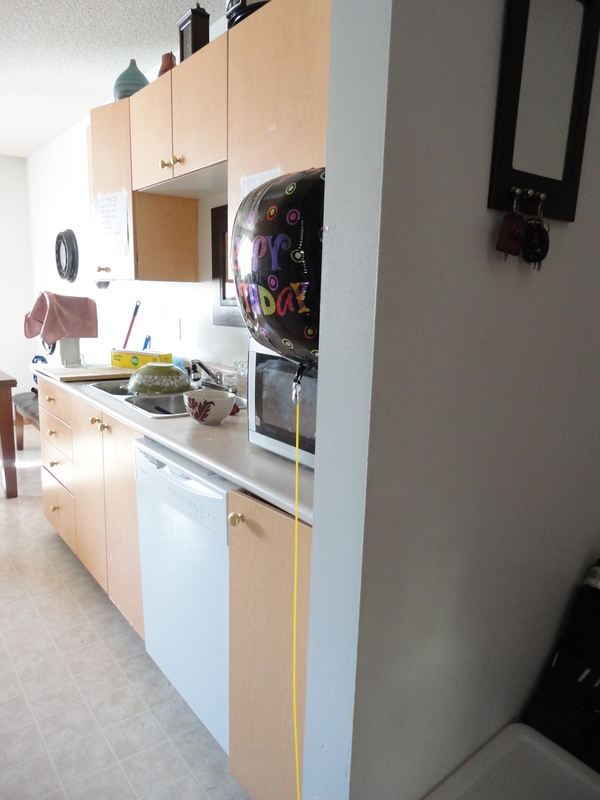 If I had any hope of sleeping without being woken up several times at night by the terrified screams of my child, that balloon had to be allowed to wander the living room and let us sleep in peace. So there you have it–what I’m up to besides working on a proposal for a series for Love Inspired. Me rattling away on my keyboard–boring to hear about. 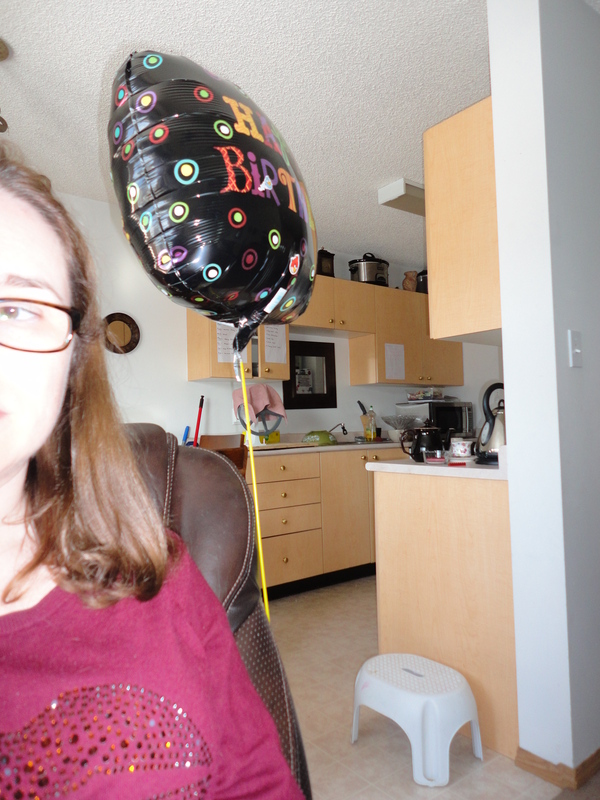 A malevolently lurking balloon–moderately more interesting! LOL! hahaha so cute! Creepy balloon.